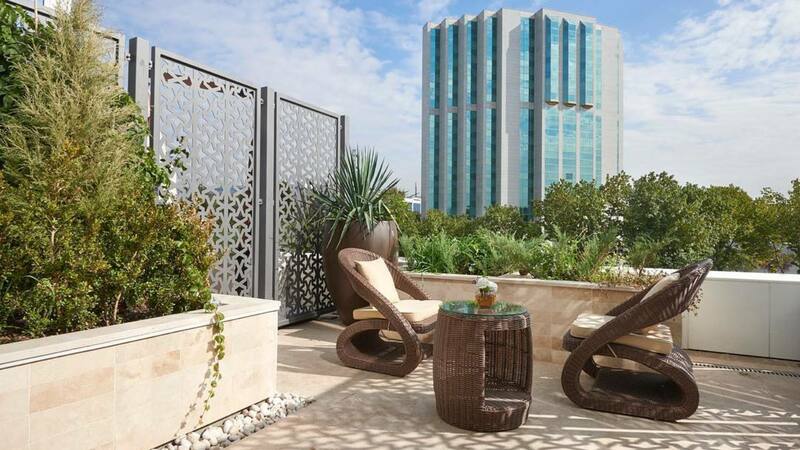 Royal gardens that introduce 5-star luxury to an emerging city. 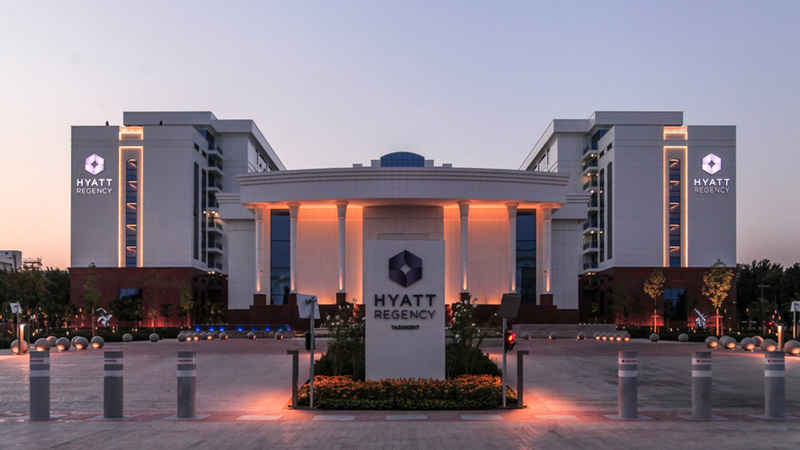 The Hyatt Regency is the only genuine 5-star hotel in Tashkent, located centrally within easy access to sightseeing landmarks. 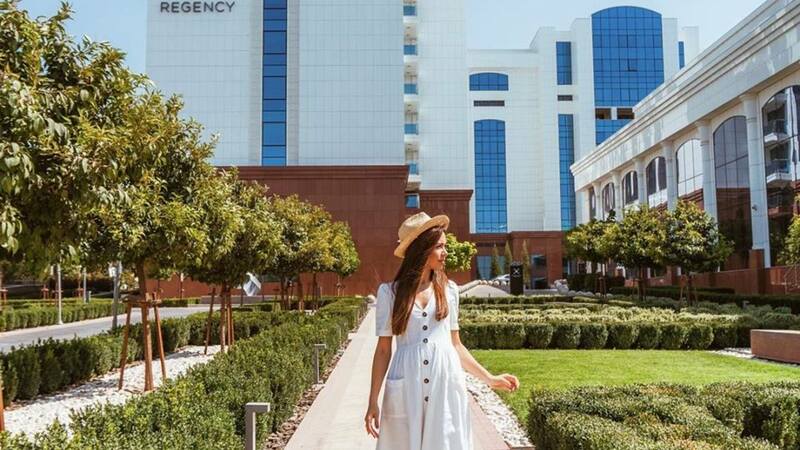 The hotel design brings elements of Uzbek artistry into the signature international style of the brand. Cracknell’s concept extended the hotel’s luxurious design to the surrounding grounds, creating a special arrival experience for visitors. Guests drive through palatial, formal gardens to reach the hotel’s arrival court, distinctively marked by overflowing water features and fountains. Large canopy trees line driveways and pathways to frame unfolding views of the hotel. Carefully selected elements ensure the design is both functional and spectacular. 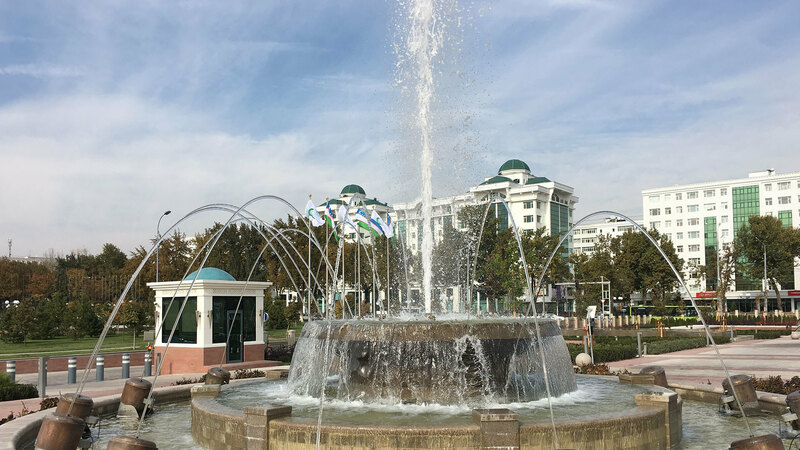 Hardy species that can withstand Tashkent’s extreme heat and cold weather form a key part of the landscape planting features. Elevated site levels, fences, furniture walls, and bollards seamlessly integrate security features with the landscape.